In 2019, GLL is set to support local athletes through its athlete support programme, the GLL Sport Foundation. 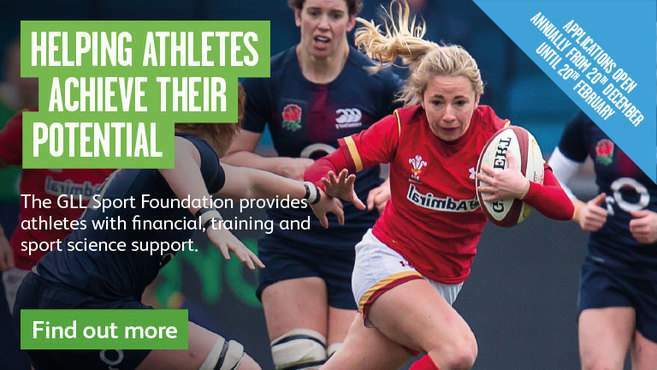 Eligible athletes can benefit from award packages that include financial grants of up to £1,250, free training memberships to use Cardiff leisure centres’ facilities and across 300 GLL and partner operated sporting venues. They can also benefit from access to sports science, medical support and employment opportunities all focussed towards supporting their athlete journey. Applications for the programme are open until February 20th 2019 and athletes from the Cardiff area are urged to apply. Last year, the GLL Sport Foundation supported 67 talented young athletes from Cardiff from a £42,000 fund. One of the youngest recipients last year was Rhydian Castle aged 11, a pupil at Ysgol Glantaf. Rhydian started playing squash at Fairwater Leisure Centre and now absolutely loves the sport and plays up to eight hours of squash a week. He attends the Squash Wales Academy Squad at Sophia Gardens and has started winning medals. He is an exceptional player and the grant will help him achieve his aspirations for his future in this sport.